Below are important Caribbean cruise tips that everyone should know before racing off to the cruise port. The following bits of key cruise information on certain cruise lines' requirements, will help ensure that you and your family have a smooth and enjoyable Caribbean cruise ship vacation. Just before you run off to read the important tips below, you may also want to consider how to book cruise packages. 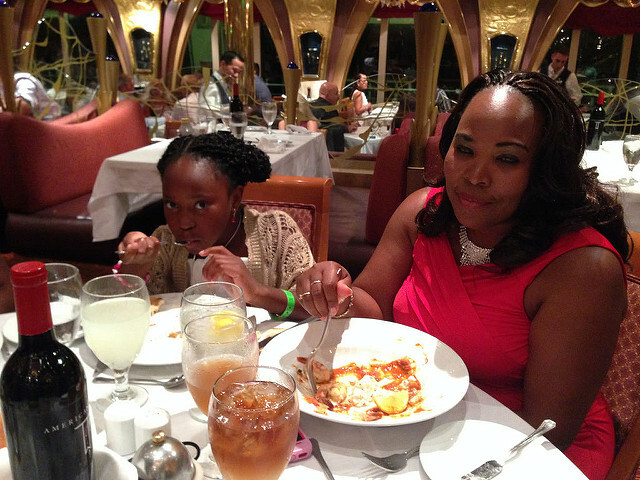 Infants - Just about everyone can be a part of the family's Caribbean cruise. My daughter was on her first cruise to the Caribbean at 10 months. However, there are some restrictions on age. 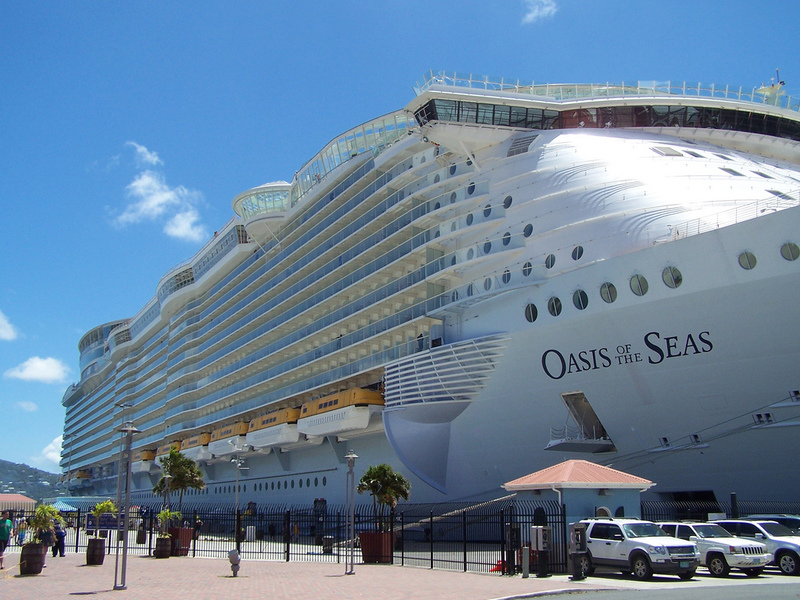 For most cruise lines, children must be 6 months old to cruise! 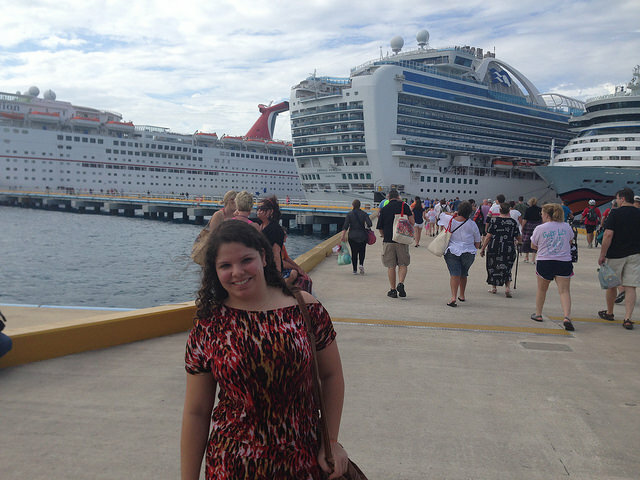 Cruising Alone - Additionally, cruise lines vary in the ages of young adults that they will allow to travel alone. Some cruise lines require that guests traveling alone must be either 18, 21, or 25. Please check with your travel agent or cruise line before booking your cruise. Pregnant Women - Cruise ships are not equipped to handle all emergencies which may occur in relation to child birth and therefore add some restrictions to cruising by pregnant women. In most cases, pregnant women must be in their 20+ week (24, 25, 27, etc.) or less of pregnancy. Everyone - from 6 months to 120 years old must have a passport to cruise, unless you are on a closed loop cruise (one that leaves from and returns to the same U.S. cruise port. U.S. citizens on closed loop cruises have other options. They may travel with an original or certified birth certificate and state-issued photo ID, or they sail with a passport card. However, it is highly recommended that everyone gets a passport before heading to your U.S. cruise homeport. The tightening of our borders as a result of the terrorist attacks of 9/11, has brought about a revision of travel document requirements for trips to the Caribbean, as well as everywhere else. To more learn about acceptable travel documents for your Caribbean cruise, visit our Passport Requirement Page. If you are a U.S. citizen, you may apply at the post office, some other local office or at a passport agency for your passport. Passports generally take about 4 - 6 weeks to process, so apply early. However, if you do not mind spending some extra money, you may pay an expedite fee to get your passport earlier. If you are not a U.S. citizen, you must have a passport from your native country with at least six (6) months left before expiration. Additionally, non-U.S. citizens must have a Green Card or a valid multiple-entry U.S. visa to re-enter the U.S. when your ship returns to a U.S. port. You will not be allowed to re-enter the U.S. without a valid visa. For any adult who is traveling with children who are not yours, it is recommended that you travel with a notarized letter of consent from the parent/s or guardian. If you are flying to your cruise port, then you should pay attention to the luggage restrictions imposed by the airline. Similarly to airline travel, each passenger is generally allowed two pieces of luggage weighing about 50 pounds each onboard the ship. However, except for the restrictions on illegal items like guns, drugs, flammable objects, some electronics, appliances, sports equipment, etc., you may bring just about anything with you. Consequently, you are at liberty to ensure that you pack whatever you need to make you and your family comfortable. However, check on your cruise line's cruise luggage requirement, before you go. Generally, whenever you start the process of booking your cruise online or by phone, the travel rep will ask if you would like to add insurance to your cruise ticket. Insurance covers several things - if you cannot make the cruise after paying all your money, you will get a full refund; if your luggage is lost, you will be reimbursed; if you get sick on board the ship and require off-ship medical attention, you will be covered, etc. It is therefore wise to get some form of travel insurance. What we have found on our cruises is that the insurance offered by the cruise line is generally more than what some other company offers. Sometimes the difference is not much, but at other times it is something to write home about. My family has always used an alternate source for our Caribbean cruise insurance coverage. Generally, when you attempt to book your cruise directly with one of the Caribbean cruise lines, they will offer you a combo deal - airfare, cruise ticket and airport transfer for one price. This sounds good and sometimes may work out to be so. However, more often than not, you will spend less if you book your cruise and airfare separately. Sometimes when you book your flight to the cruise port separately, you are given the option to add a transfer from the airport to the hotel or cruise terminal to your ticket. Note: When paying for transfers to a hotel or cruise terminal, choose the "shared ride". This always works out to be less expensive than riding your "own" shuttle or taxi. If you have a family, however, the taxi ride - with a flat rate - will work out to be less expensive. Important: Your Caribbean cruise ship generally leaves the port at about 4 p.m. on the day of departure. Therefore, you should plan to board a flight that will get into the airport near your cruise port by 12 p.m. This gives you enough time for undue delays and for transferring to the cruise terminal. Yes, unfortunately, your cruise ticket is not the only thing you pay for. 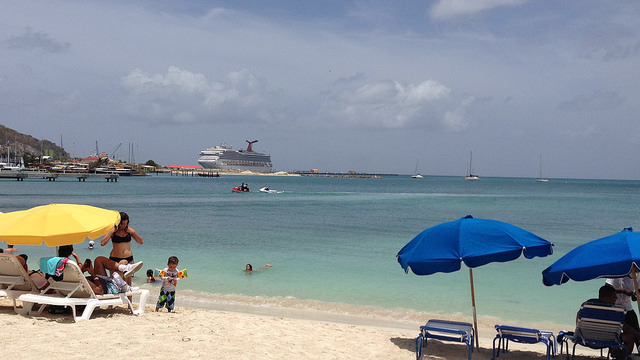 Generally, Caribbean cruise lines add "mandatory gratuities" to your on-board account. Currently, I believe that Disney Cruise Line is the only major Caribbean cruise company that offers you a guideline for gratuity versus a mandatory billing. Cruise gratuities vary from cruise line to cruise line and are required from every passenger, except that in some cases none is charged for children under two (2) years. The mandatory gratuity charged is generally per-person per-day. For example: Carnival Cruise Line currently charges $12.95 per-person per-day in mandatory gratuities. That means, a 5-day Caribbean cruise for 2 people will add an extra $129.50 to your bill - $64.75 per-person. The rate is a little more for suite guests. See more on Carnival gratuity rates. Before you sail, you are required to provide a valid credit card which will be linked to an onboard account, against which charges onboard the ship plus the gratuity are charged. You may also choose to set up a cash onboard account instead. The respective cruise line will tell you the minimum amount to be deposited. If you booked Carnival's early saver rate, up to 2 days before sailing check with the cruise line to see if the price for your ticket has dropped. If the price has dropped, you can call the cruise line and in most cases they will give you the difference in prices as onboard credit. Sweet! That could help to reduce what you pay in gratuities and land you a discount cruise vacation. Note: While gratuities are billed to your account, you may request an adjustment up or down based on your cruise experience. How about safety at sea? Is your family safe onboard the ship? Click here to learn more safety aboard ship. Do you worry about Health Concerns Aboard Ship? Click to read this. Click here for specific Bahamas Cruise Tips. Please check back for more Caribbean cruise tips. By the way, check with a Travel Agent to help you find the perfect cruise package and answer pertinent questions about your upcoming vacation. If you are a first-time cruise or not, you can learn a lot more about cruising by checking our cruise critic page. 8. 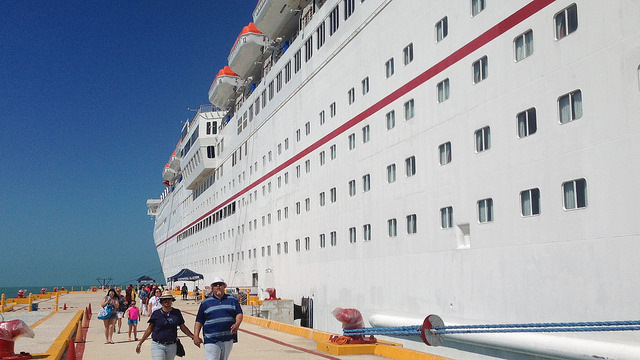 What If You Miss Your Cruise Ship?